"Good location for 20 mins walk to Kazurabashi." Have a question for Iya Onsen Hotel Kazurabashi? "The ryokan located in a very beautiful place , with a very nice onsen , restaurant served very good local style foods , foods was delicious." "All staffs were very kind & helpful." "Staff are friendly, hotel is unique, clean and spacious." When visiting Tokushima, you'll feel right at home at Iya Onsen Hotel Kazurabashi, which offers quality accommodation and great service. From here, guests can enjoy easy access to all that the lively city has to offer. For those of you who want to venture out, Iya-no-Kazura Bashi, Kazura Bashi Campsite, Biwa-no-taki Waterfall are just some of the attractions available to visitors. 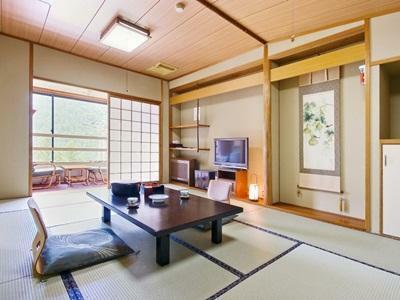 The facilities and services provided by Iya Onsen Hotel Kazurabashi ensure a pleasant stay for guests. To name a few of the hotel's facilities, there are free Wi-Fi in all rooms, 24-hour front desk, Wi-Fi in public areas, car park, room service. In addition, all guestrooms feature a variety of comforts. Many rooms even provide television LCD/plasma screen, internet access – wireless, internet access – wireless (complimentary), air conditioning, heating to please the most discerning guest. The hotel's hot tub, sauna, hot spring bath, fishing, spa are ideal places to relax and unwind after a busy day. Enjoy unparalleled services and a truly prestigious address at the Iya Onsen Hotel Kazurabashi. Children aged 0 to 3 will be charged 1,080 JPY . This is the first time I visited this beautiful island. The hotel staff is very helpful. We arrived earlier around 2pm but the room already ready for check-in, nice room and clean! The onsen is so nice and I can tell is it’s the best onsen I visited. 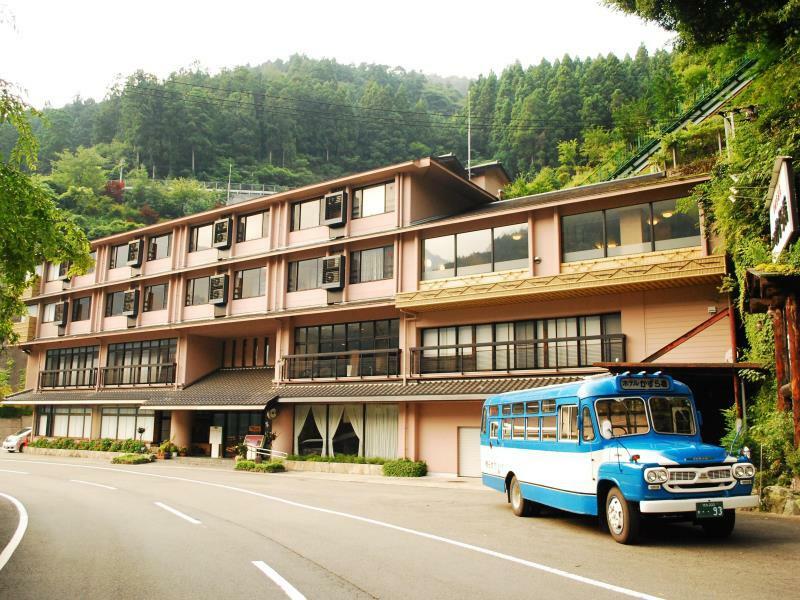 We need to take a private cabke car to the onsen which located at the too of a small mountain. The onsen provides privacy and a nice scene. You can see the star in the sky at night time, a very relax environment! When we check out, the staff is so nice to hive us a pack of candies. The only thing I can think of not perfect is the hotel does not provide transfers. However, you can either take bus or cab which is also very easy! Wonderful for the Sky Onsen go by cable car. Free carpark provided. Good location for 20 mins walk to Kazurabashi. Staff are friendly, hotel is unique, clean and spacious. Foods are delicious. The staff are very helpful although some of them can't speak good English. They try their best to make you feel like a VIP. The food are delicious and the onsen is special that you need to take a cable car to get there. When we were checking out, the staff gave us a very clear instruction and good advice for catching the bus and train and even accompany us to wait at the bus stop in a freezing weather, and gave us a bag of candies too. He worried that we couldn't catch the train so that he talked to the bus driver to make sure that we could reach the train station on time. So thoughtful and caring. A must-go onsen when you go to this area. Highly recommended!! Everything was nice, except the location was a bit far from JR station.